Bermuda is different from other international finance centres due to its high level of transparency, compliance, cooperation and exchange of information. No matter what the ICIJ releases, Bermuda remains a cooperative jurisdiction and a leader on tax-transparency. Learn more about Bermuda's Transparency, Cooperation and Compliance watch the video. Bermuda is required to turn around requests for information within 24 hours under agreement with UK National Crime Agency (NCA)—reflecting the island’s long-held commitment to deterring money-laundering and financial crime. Bermuda also shares information with HMRC. Bermuda has adopted OECD standards for BEPS compliance, signing the Declaration to the Multilateral Competent Authority Agreement for the automatic exchange of financial account information via CRS and CbC reports. Bermuda was the first overseas territory to be awarded whitelist status by France (September 2017) for country-by-country reporting. The island successfully met several conditions, including becoming an early adopter for 2016 year data and establishing a Country-by-Country reporting relationship with France. Financial services entities are required by Bermuda’s regulator to adhere to international regulatory standards, including the Basel III standard for banks and the Financial Action Task Force (FATF) standards for Anti-Money Laundering/Anti-Terrorist Financing (AML/ATF). Regulated entities in Bermuda are expected to comply with all regulations and terms of their licences. Failure to do so results in enforcement action and public exposure. Bermuda was recently praised by a Canadian newspaper for its transparent enforcement policy. Bermuda has the endorsement of regulators on both sides of the Atlantic. The European Union awarded Bermuda full equivalence with its Solvency II insurance regulatory regime (one of just two non-EU jurisdictions). Bermuda also received full Qualified Jurisdiction status from the US National Association of Insurance Commissioners (NAIC), one of only seven jurisdictions to be qualified. 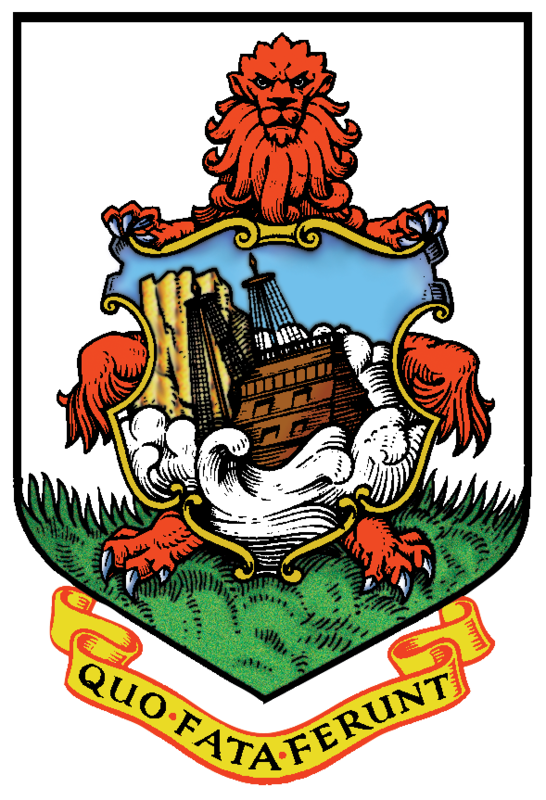 Bermuda’s tax system has been consumption-based since the 1800s. It has never had any form of direct tax on income. Its two most important revenue sources are taxes on payrolls and customs duties levied on merchandise imports. Other forms of indirect taxes include stamp duties, land and passenger taxes. The scale of taxes imposed by the government is in line with those of countries with which it conducts the bulk of its foreign trade. In Bermuda, the estimated ratio of total government receipts in relation to GDP was approximately 16 percent of GDP in 2016–17. Its tax system was designed for efficiency and fairness to Bermudian taxpayers, not to attract mobile capital from onshore jurisdictions. Bermuda’s economic model supports close to a half-million jobs globally, creating and supporting jobs not only on the island itself, but also in its onshore trading partners. This includes an estimated 300,000 jobs in the US, 30,000 in Canada, and 70,000 in the UK through trade, foreign direct investment, and portfolio investment capacity, facilitating economic globalisation. Home to more than 1,200 re/insurers writing premiums of $130 billion, and holding assets of US$632 billion and capital of US$200billion, Bermuda is aware its survival depends on ensuring it is a robustly regulated and supervised financial services centre. Thirteen of the world’s top 40 re/insurers are based in Bermuda, regulated to internationally recognised standards for credibility and standing.